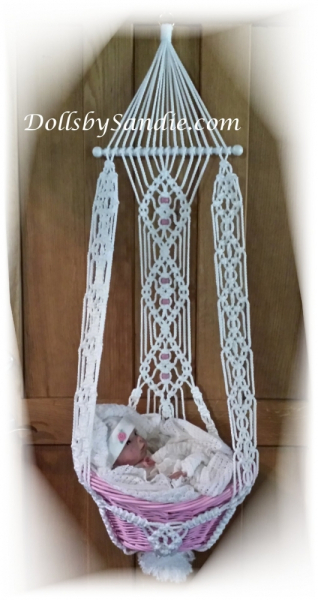 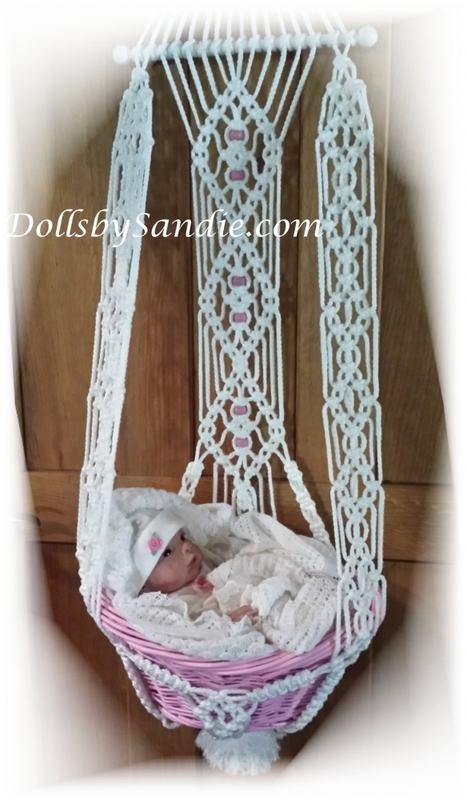 50" Handmade Macrame' Hanging Basket Wall Display. 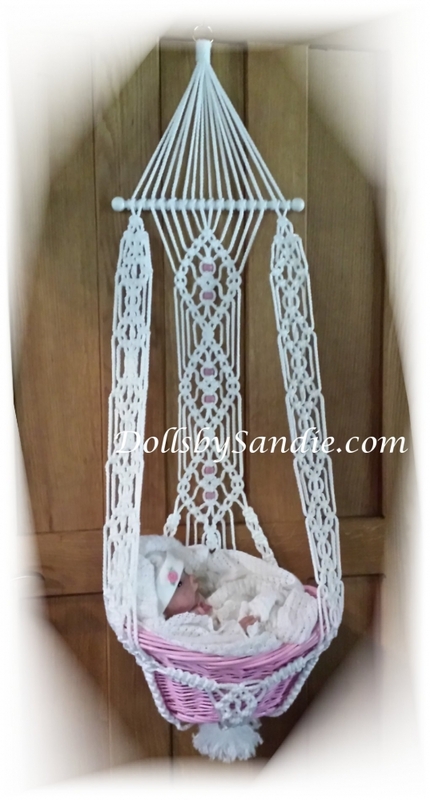 This one is White with Pink Beads and contains 140 yards of cord. 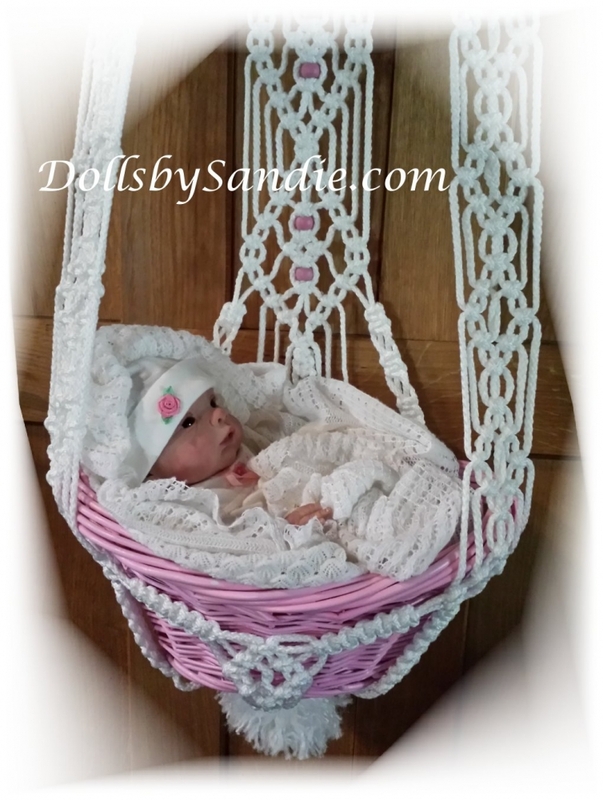 with a 16" Pink Basket that is removable.